Marcus Aurelius Sabinus Julianus, known as Julian of Pannonia, was a Roman usurper against Emperor Carinus or Maximian. It is possible that up to four usurpers with a similar name rebelled in a time-frame of a decade, but at least one of them is known by numismatic evidence. Julianus was a corrector in northern Italy. Soon after the news of the death of Emperor Carus or Numerian arrived in the western provinces, Julianus revolted in Pannonia. He issued coins from Siscia, some of them bearing a legend celebrating Pannonia. 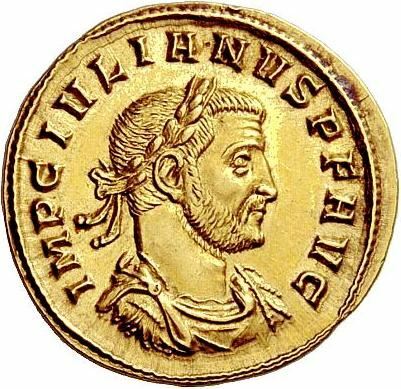 Emperor Carinus, brother of Numerian, who had marched from Roman Britain to deal with the usurpation, met, defeated, and killed Julianus early in 285, in either Italy or Illyricum.